The safest choice is always going to be a simple gold or silver chain, from 56cm to 60cm long, so that it sits around the middle of your sternum. 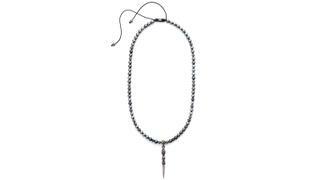 Necklaces with pendants often look best when layered rather than worn singly. Another option is the laid-back adventurer look, reminiscent of long beach holidays in India and Southeast Asia: think semi-precious stones and beads of turquoise, jade or onyx as well as other materials such as sandalwood and coral. Luis Morais and Shamballa are particularly good. 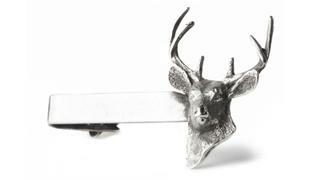 The tie bar has enjoyed a relatively recent renaissance. Unlike many pieces, these actually serve a practical purpose by securing the tie to the front of your shirt and keeping it straight and neat. Bars naturally work best with slimmer ties and to keep your look clean, avoid those with intricate patterns – block-colour knitted ties are ideal. 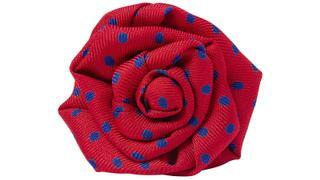 Well-dressed men in the 1920s and 30s would have often sported a buttonhole (or boutonnière) – a rose, carnation or a camellia, for example – but this fashion is now more or less restricted to weddings. The modern equivalent for the contemporary dandy is a lapel pin, which can dress up a work suit if you are going out in the evening. These can be used to denote an affiliation to a particular society or cause or be simply decorative – the famous Parisian shirt and tie maker Charvet is famous for its silk flower pins, which were a favourite of actor Cary Grant. Once upon a time, unless you were a goth or a rocker the only rings most men would be seen wearing were wedding bands or a signet ring. But this is changing fast. 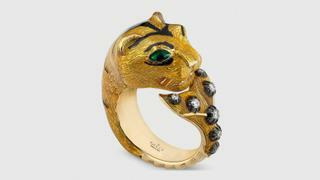 Gucci’s creative director Alessandro Michele has long been fascinated by antique rings. His designs, often based on animal heads, are inspired by pieces from the Renaissance and often include cut crystals and other stones. These are, however, not for the faint-hearted. Contemporary men’s jewellery brands such as Miansai and Alice Made This produce styles in brushed metals that are discreet enough to wear during the week. 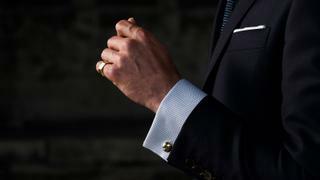 While some men like to wear lots of rings, it is best to start with one per hand. Modern men’s bracelets come in three main styles: solid metal, beads and plaited leather. Perhaps the most classic solid metal example is Cartier’s Love bracelet that dates back to the 1970s and is instantly recognisable thanks to the famous screw design. The modern craze for designer-woven leather bracelets probably started when Tod’s launched a range in the colours of famous Italian football teams, particularly the purple and black of owner Diego Della Valle’s beloved Fiorentina. These now come in a wide range of civilian colours and work best when worn in multiples. Wear on your right wrist so as not to interfere with the watch on your left. Not technically jewellery, but if you wear a suit and tie every day, invest in some collar stays. 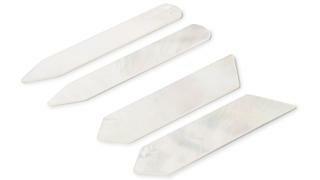 Mother-of-pearl stays are things of beauty but can be fragile, while sterling silver is a more robust alternative. If you like to vary the collar designs you wear you might want to invest in a selection of lengths. Even when men’s sartorial style was at its most post-war puritanical, it was always acceptable to dress up your formal wear. 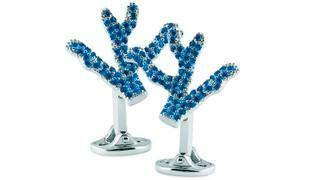 If you are looking to indulge in a little discreet flamboyance, cufflinks and shirt studs are the best place to start. You may be tempted to stick with gold, silver or platinum, but mother-of-pearl or enamel are great alternatives. It looks best if you match the metal with your watch, but this isn’t compulsory. 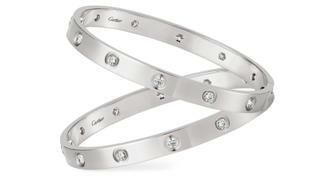 If you want something a little flashier, try pavé diamonds or precious stones. If you wear a double cuff shirt for work, discretion is the better part of valour and monograms or even a simple silk knot work well.